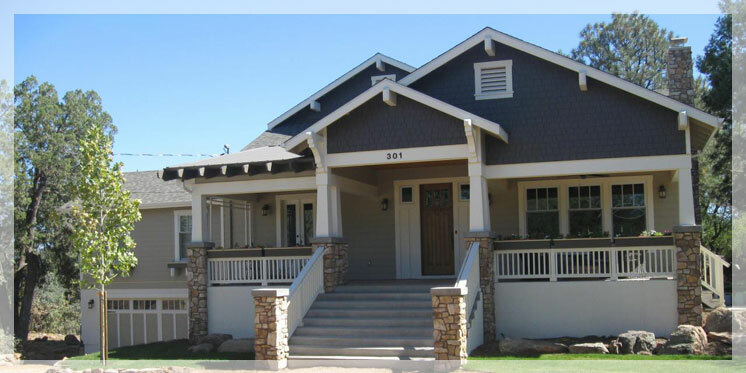 Prescott Green Builders is a Prescott AZ licensed residential contractor specializing in building green custom homes to high-performance standards. Our services extend to tiny homes, complete home remodeling and room additions, kitchen or bath remodels, decks, historic restorations, and consulting. There are many new home construction and remodeling contractors who claim to construct “quality” homes, but in reality there are few who truly understand how and why a house must be “built as a system” to achieve the highest levels of performance in terms of energy efficiency, comfort, indoor air quality, and resource efficiency. 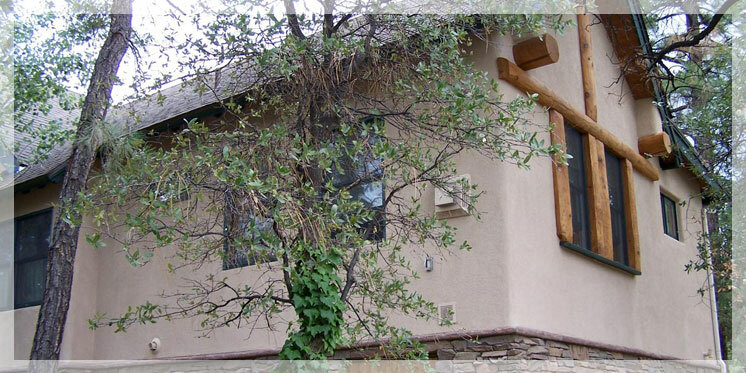 Prescott Green Builders is one of the few green builders in the Prescott area who have the ability to construct a “house that works”. Prescott Green Builders is sensitive to a potential client’s needs and desires when it comes to investing in a custom home project. Whether that home includes all or a portion of the green-building elements or a convenience such as an elevator between levels, we are able to accommodate the client. However, in situations where budget constraints conflict with home designs, we also offer the client our construction expertise in presenting reasonable home-design or construction-material alternatives to create a balance. As a starting point in discussing home design and construction costs, Prescott Green Builders uses a tiered system to assist potential clients in defining the features (and benefits) that might be included in a home. These tiers are based on several national home-performance certification programs that define graduated levels of green building e.g., energy efficiency, indoor air quality, and elements. Need assistance with Green Building concepts and terms?... check out the Green Builder 2012 Homeowner's Handbook! These tiers are intended only for guidance in home-performance features and do not represent unbending rules. Upon deciding on the design and features to be included in the home, a detailed cost estimate is prepared based on the final plans and specifications, and this dollar amount used in the contracting document. The detailed cost estimate is prepared on a fee basis which is applied toward to construction cost if Prescott Green Builders is selected as the general contractor. 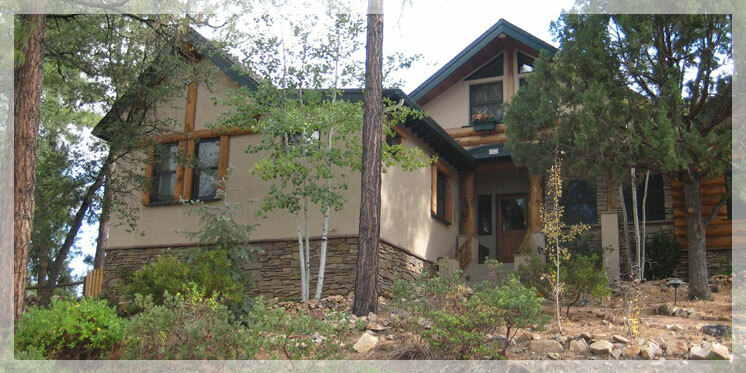 Prescott Green Builders has the experience and is ready to build your “Zero Net Energy” home i.e., a 21st century home which generates as much electrical power as it consumes. Any builder can construct this type of home if enough homeowner money is thrown at solar panel installation. 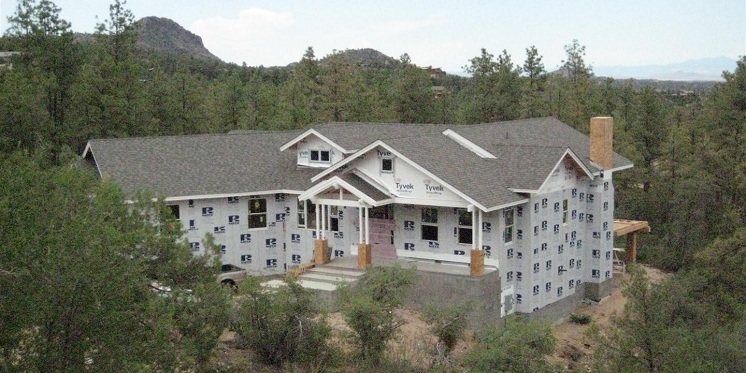 Prescott Green Builders, however, constructs a zero-net energy home the smart, cost-efficient way … that is to first construct the home to be as tight and energy efficient as possible so that the size of the expensive solar panel array is minimized. Then project the home energy use with industry-accepted models and design the power-generating photovoltaic array to balance the energy usage. Interested in more information on constructing Zero Net Energy Homes?? 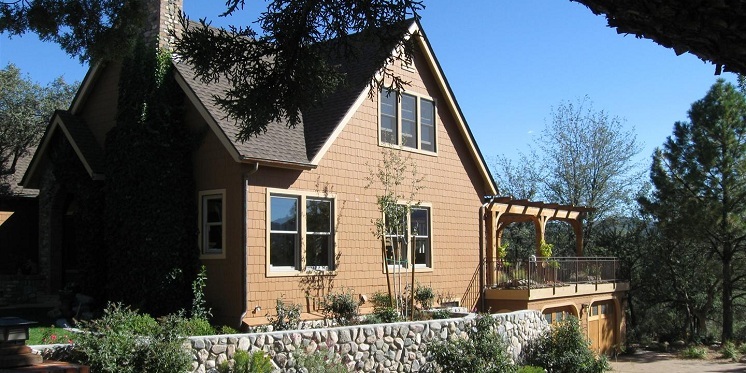 ... select this link for "Seven Important Steps to a Successful ZEH"
Prescott Green Builders is one of the few builders in the Prescott area who have constructed a certified zero-net energy home. In November 2011, the MeadowRidge House was completed with a -1 HERS Index... less than Zero-Net Energy! This case-history summary provides an overview of the features included in this project. 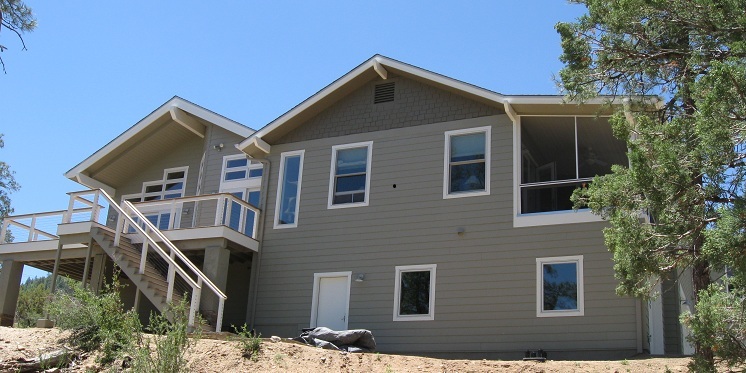 Prescott Green Builders has been monitoring a growing trend of what has come to be known as “tiny homes” (compact, utilitarian homes) and is now introducing this home style to people wanting to have a new home built in the Prescott area. Who should consider having a Tiny Home? 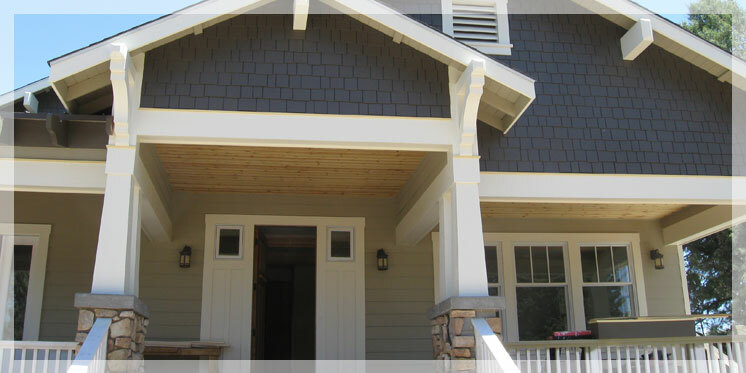 For homeowners who have the time and skills to perform or manage interior finish work, Prescott Green Builders has constructed several homes as "hybrids" i.e., completing the home construction up through the trim stage where the homeowner then takes over. At that point, homeowners still have access to Prescott Green Builders knowledge, but on a consulting basis. At the request of the homeowner and upon completion of the home, Forest Holmes provides the homeowner with a manual to assist in the on-going operation and maintenance of the home’s systems, contact names and numbers, and warranty information. The manual also documents the high-performance elements in the home so that if the home should go up for re-sale, it can be contrasted to a standard home and appraised accordingly. Prescott Green Builders is proud of the homes they build… so the homeowner’s can also show off their high-performance home to others. At the request of the homeowner Prescott Green Builders will provide a DVD to photo-document the construction progress and high-performance elements “behind the drywall” that make the home unique. Official certifications which document home performance (e.g., Energy Star, LEED for Homes, Builder’s Challenge) will be included in the homeowner’s manual as evidence that the home has achieved an exceptional level of performance. The Project Gallery tab includes several photo galleries illustrating the caliber of new homes constructed by Prescott Green Builders. 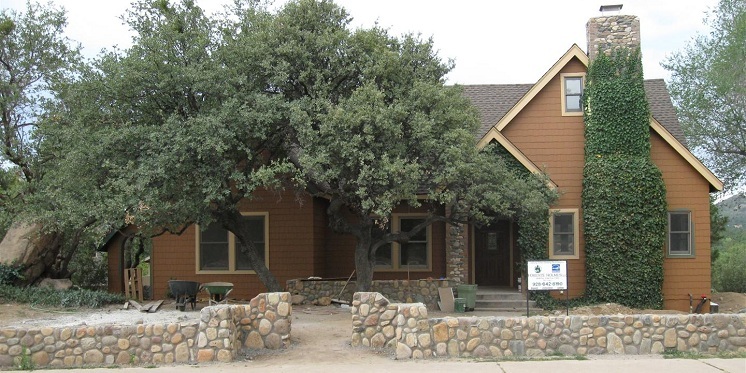 An older home in a great Prescott location may be a candidate for a whole-house remodel … adding rooms, replacing roofing materials, updating (or adding) bathrooms and kitchens, or replacing windows and siding will make the old home look and feel like new. Prescott Green Builders has performed house “makeovers” where the newly remodeled house has very little resemblance to the old house … an example of a makeover is included our Project Gallery. Expanding a home to meet changing family needs can be a very economical option when compared to moving or constructing a new home. 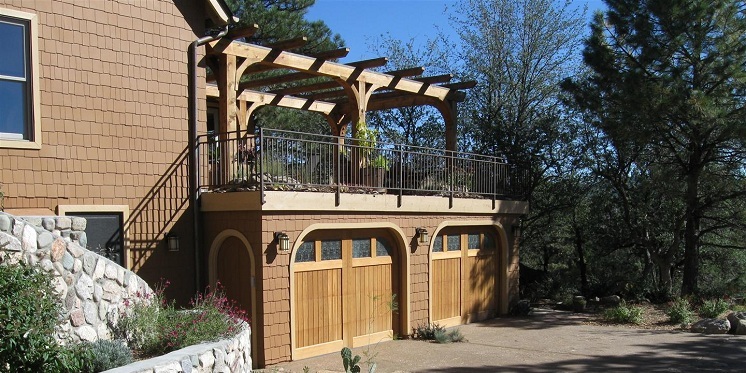 Room additions or garages (free-standing or attached) are constructed by Prescott Green Builders to look as if they were a part of the original structure. The Project Gallery includes several examples of room addition projects completed by Prescott Green Builders. An updated kitchen or bathroom can give an existing home a whole new exciting feel for the homeowner. Kitchens improvements constructed by Prescott Green Builders can include floor-area expansion, new cabinetry, new countertops, relocated plumbing and new sinks, or replacement flooring materials. Similarly, bathrooms can be updated with bath to shower conversions, new tile, and water-conserving fixtures. The Project Gallery includes several examples of bathroom and kitchen update projects. 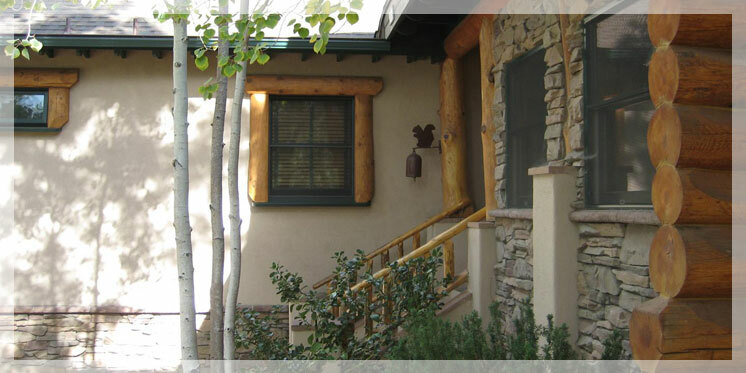 Home exterior siding is exposed to extremes in the Arizona climate and can become faded or damaged over time. 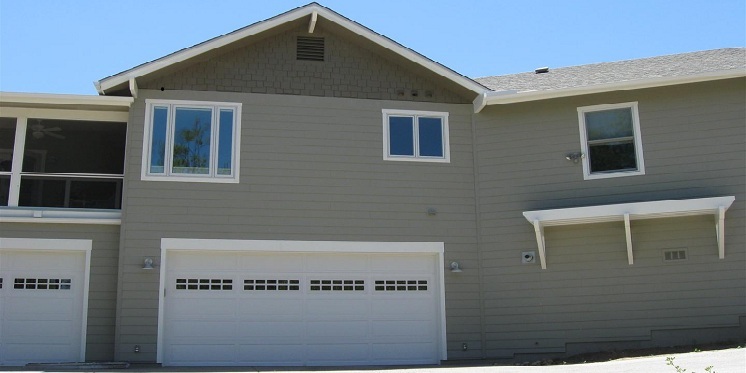 Prescott Green Builders can remove your old or damaged siding and replace it, for example, with new pre-colored, cementititious siding which needs no painting, is very durable, are requires very limited on-going maintenance by the homeowner. Windows in older homes can be a significant source with heat loss and heat gain in a home, thereby causing temperatures to be uncomfortable and high energy bills. In addition, older windows allow the unrestrained passage of ultraviolet sunlight which damages and fades furniture or carpet. Prescott Green Builders can replace old, single pane windows with dual pane, low E windows that will lower your home energy bill and leave you feeling more comfortable. Plus, window replacements may qualify for rebates under federal incentive programs… Prescott Green Builders will assist you in securing these rebates! Prescott Green Builders can enhance your outdoor living environment with a new deck or patio. In new or replacement decks, our skilled crews use construction materials and techniques that prolong the life of the deck and limit the homeowner’s ongoing maintenance efforts. The decks are completed with secure railing systems such as that shown in the Project Gallery. Prescott Green Builders practices “Re-green” principles i.e., constructing green remodels that are attractive, environmentally sensitive, healthier places to live, are better for the environment, and cost less to operate. we will assess your home construction plans and provide recommendations for improvements that will result in a home that is more energy efficient, resource efficient, durable, and has better indoor air quality. Prescott Green Builders will coordinate and assist you in maximizing your energy efficiency tax credits and utility company rebates on your new home or remodeling project. Prescott Green Builders will coordinate and manage 3rd party services to assess where improvements can be made in the energy efficiency of an existing home. These assessments could include tests such as blower door (to assess air infiltration) or duct blaster (assess duct leakage) tests and infrared camera to detect air movement behind walls. Prescott Green Builders consulting services are available to assist you in managing home construction activities and inspections that lead to qualification in one of several national programs (e.g., Environments for Living Certified Green, LEED for Homes, NAHB Green Building Guidelines, EPA Energy Star, and DOE Builders Challenge. Our consulting starts with selecting a program and managing the construction process that leads to a certification.